We’ve all heard that leadership is different than management. Below are five ways that leaders do things differently than managers. Day to day details versus looking to the future. Managers aim to have organized results whereas leaders want to create change in the organization. Managers are dealing with the day to day issues of customers, employees, suppliers, and organizations. They are often excellent at keeping the disparate parts of an organization well run and functioning smoothly. Leaders are looking to the future that they can envision but which may not be apparent to others. Solving problems and dealing with situations versus influencing and inspiring. Managers work to make the day to day jobs of employees possible and easier to get done. They focus on the routine functions and try to optimize them to solve recurring problems and improve employees’ daily jobs. Leaders work to reach people at an emotional level to create a sense of idealism and excitement about the company and its future since change requires a higher level of commitment from employees. Hiring and training versus creating a culture. Managers try to fit the person to the role and want to make sure the skill sets match what is needed. Leaders try to fit the person to the vision to ensure the employee will help move the company towards the alternative future. Keeping the status quo stable versus driving towards change. Managers try to keep things as they are as in order to achieve goals set for the year or quarter. Leaders work to change goals and reach beyond the status quo to create a different future. Successful companies have a healthy mix of managers and leaders, and even a few people who are both. Companies need both since in order for a company to grow, the current day to day must still happen at the same time that others in the company look to the future. Connect with me on LinkedIn, Google+, Twitter (@SaraPaisner), via email, or on Facebook. 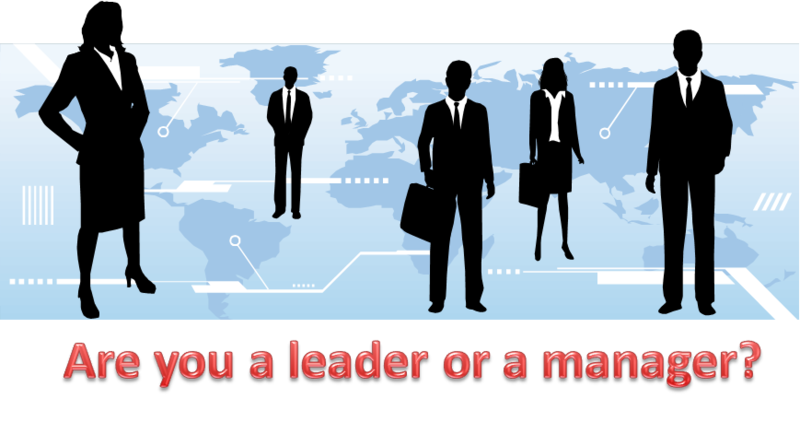 This entry was posted in Business Strategy, Leadership and tagged Business, how leaders are different from managers, leadership, Leading and managing, Management, managers versus leaders, Organization. Bookmark the permalink. « What are Your Two Most Favorite Social Media Sites for Business?